During the hearing of the review petition in the open court on 9 March, the Supreme Court bench comprising Justices Ranjan Gogoi and Pinaki Chandra Ghose, heard the Attorney General, Mukul Rohatgi opposing the judgment laying down the guidelines in the Government advertisements case, and reserved its decision. LiveLaw has learnt, however, that the AG was also sitting over the Government's counter-affidavit in which the Under Secretary of the Information and broadcasting Ministry has disclosed the Government's intention to set up a three-member Ombudsman to oversee the implementation of the guidelines, laid down in the May 13, 2015 judgment. The Government appears to have submitted the counter to the AG, in October 2015, before filing it before the Supreme Court. A copy of it, however, was placed before the Court by Prashant Bhushan, the counsel for the petitioners in the main case. If the Government is indeed inclined to set up the Ombudsman thus complying with the main judgment, then its case for review may considerably be weakened. However, the Government can still claim to be complying with the judgment, even while reserving its right to seek a review of the same. It is not clear what the Government had, in fact proposed to do so. The inconsistency in the Government's position came to light when the Court took up the contempt petition filed against the Union of India for its non-compliance with the 2015 judgment. Taking note of the confusion, the Court asked the Central Government to first clarify, within six weeks, whether it admits the facts, as claimed in the counter affidavit, as placed before the Court by Prashant Bhushan. Till such time, the Court agreed to postpone further action on the contempt petition filed against the Central Government. It is not clear whether the Central Government wanted to file the counter affidavit in order to avoid the contempt proceedings, and sought the AG's clearance to it. It is also unclear whether the AG deliberately kept it pending, keeping the review proceedings in mind. Why the AG kept silence on this during his submissions before the bench during the first half of 9 March also remains a mystery. The bench, during the hearing, also dealt with the contempt petitions filed against the states of Delhi and Tamil Nadu Governments for their non-compliance with the judgment. 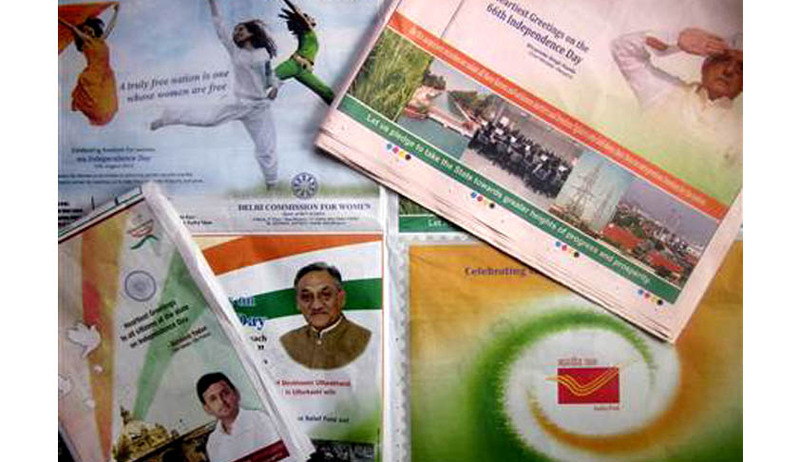 Both Delhi and Tamil Nadu Governments continued to release advertisements carrying the photographs of the chief ministers, which was prohibited by the guidelines. Contempt notices have been issued to the chief secretaries both the state Governments, returnable in six weeks.